In the second Doc Savage adventure, Python Isle, a long-lost pioneer flyer returns to civilization accompanied by an exotic woman who speaks in a lost tongue. 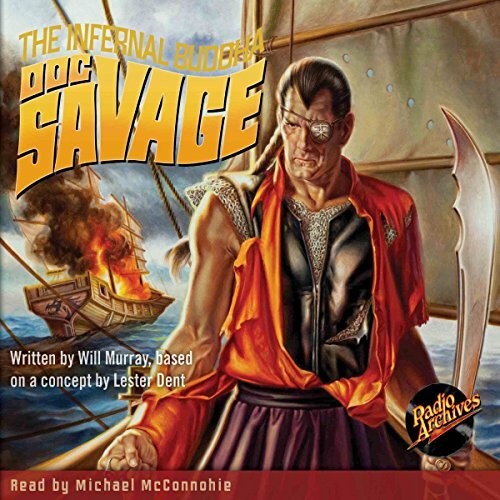 From his towering skyscraper headquarters in New York, through a dangerous Zeppelin journey to Cape Town, climaxing on a serpent-haunted island in the forbidden reaches of the Indian Ocean, Doc Savage and his iron comrades race to untangle a weird puzzle so deep that the only clues can be found in the Bible! 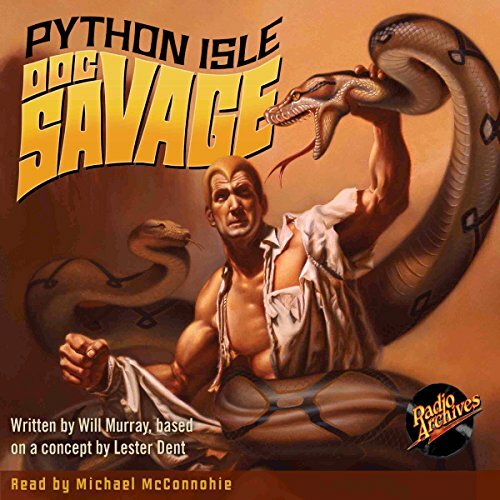 In the second Doc Savage adventure, Python Isle, a long-lost pioneer flyer returns to civilization accompanied by an exotic woman who speaks in a lost tongue. 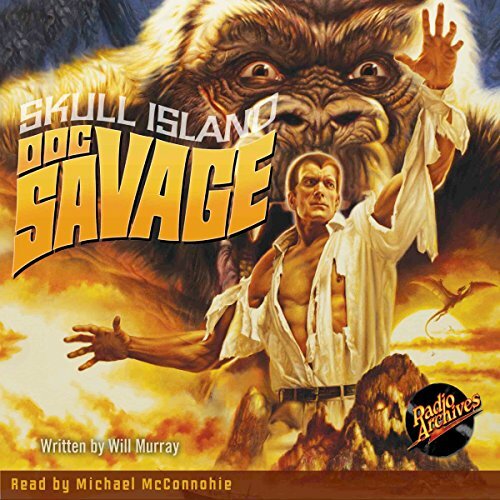 From his towering skyscraper headquarters in New York, through a dangerous Zeppelin journey to Cape Town, climaxing on a serpent-haunted island in the forbidden reaches of the Indian Ocean, Doc Savage and his iron comrades race to untangle a weird puzzle so deep that the only clues can be found in the Bible! A new super criminal emerges from the underworld. Dressed all in white, his face masked, eyes blank as a blind man's, he calls himself White Eyes. Who is he? What are his goals? All of Manhattan reels under the onslaught of the Blind Death, a scourge so terrible that innocent people are struck dead, their eyes turning white as hardboiled eggs. From his skyscraper headquarters to the sugarcane fields of Cuba, Doc Savage races to crush gangland's latest uncrowned king! 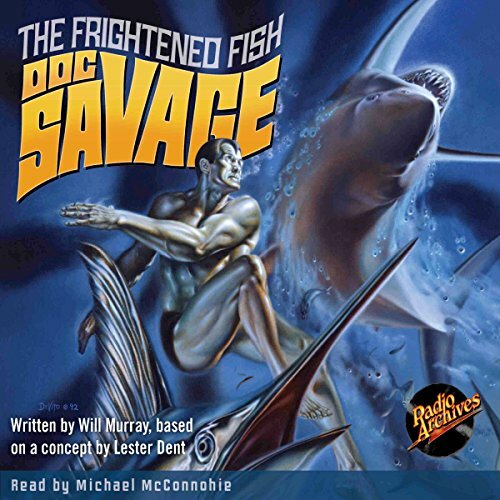 The inexplicable disappearance of sea life off the Massachusetts coast signals a strange new threat that comes to the attention of Doc Savage, the premier scientist of his day. What weird power is scaring schools of fish from their usual habitats? Who is behind this new global menace? What does it portend for mankind? The eerie trail leads across the Pacific to faraway Occupied Japan, where Doc becomes embroiled with several shadowy figures from his past - and a super-foe long believed dead. Who - or what - is Quon? All of Asia knows him as a devil in human form, a twisted, armless monster with a face of imperial jade. Long dead, Quon has returned from the grave to spread his fatal Jade Fever and subjugate mankind. 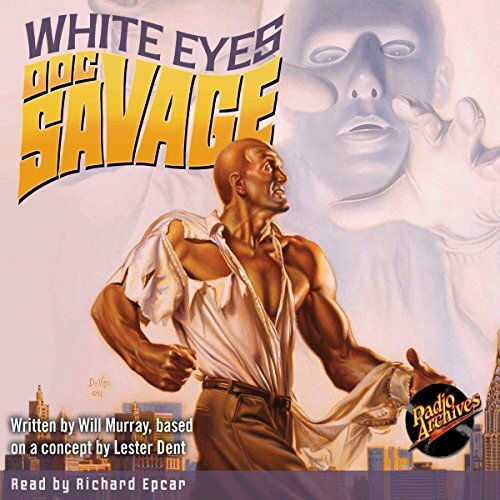 From San Francisco's Chinatown, across the vast Pacific to the spidery jungle ruins of Cambodia, Doc Savage and his resourceful crew battle a seemingly unbeatable foe whose deadly reach knows no barriers, and whose evil ambitions know no bounds. 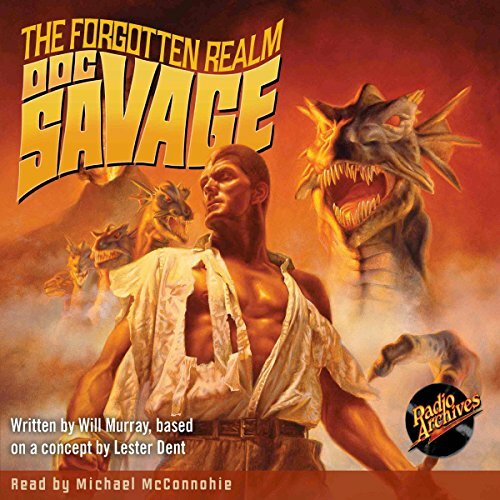 In this first adventure of Doc Savage, he is targeted for assassination by the Kremlin and fated for a confrontation with a nemesis more violent and vicious than any he has faced before, the Man of Bronze must evade a faceless executioner known only as The Red Widow - a mistress of disguise and empress of pain, as well as a soul-devouring human spider prepared to strike without warning. Poor portrayal of Doc Savage. A visiting king vanishes from his moving limousine on the way to a White House dinner, astounding the world. The nation is baffled. Authorities are helpless. The political world reels. What happened to King Goz? 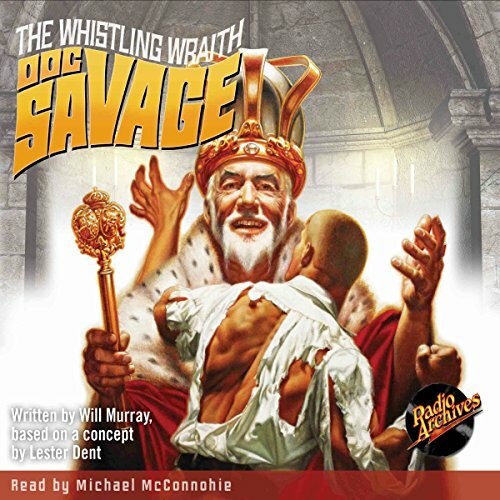 Doc Savage is called to Washington, DC, to unravel the enigma of the missing monarch. 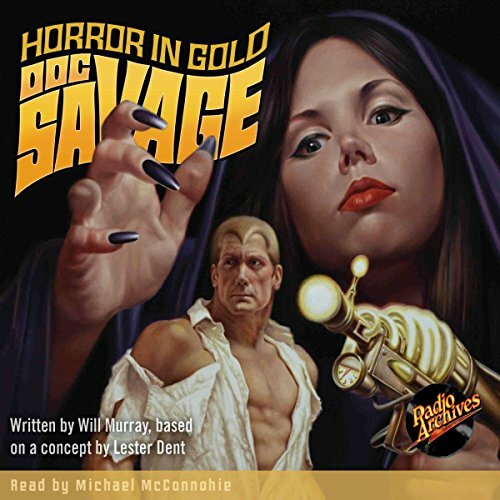 But the mystery only darkens when the royal sword turns up - impaled in the bodies of victims discovered from the nation's capital to Doc Savage's locked safe in his New York City headquarters. He called himself X Man - X for unknown. Found dressed in a Roman toga, wandering the ruins of an old fort from Caesar's day, X Man was thrown into a madhouse, his origins and real name impossible to discover. What is the strange connection between this supposed madman, a multi-headed sea creature discovered swimming in a Scottish loch, and a pair of rogues willing to kill to control the secret of the mysterious X Man? Out of a clear, sun-heated sky, they materialized, cloud such as man had never seen before. Red as blood, tumultuous, boiling, coming from none knew where and carrying an awful and mysterious death. These were the Copper Clouds. 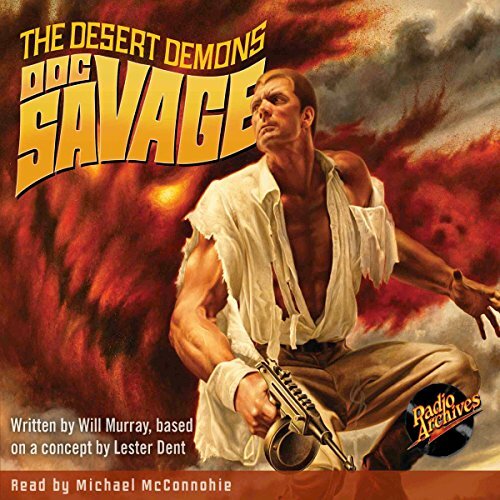 Doc Savage sends out an urgent message to his men in his, fourth audiobook, calling for them to assemble Los Angeles. For his adventurous cousin, Patricia Savage, has gone missing, reportedly a victim of the seemingly-sentient clouds that descended to earth to consume at will. 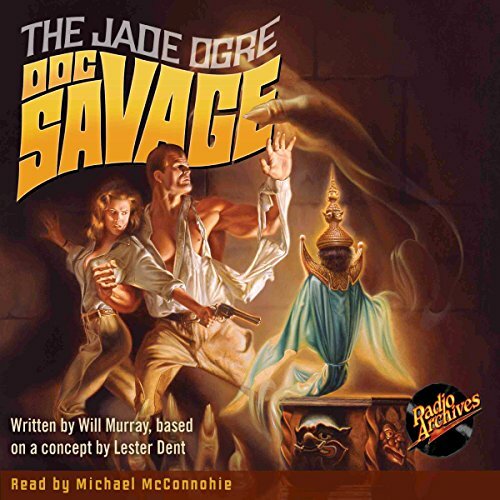 When a mummy arrives at Doc Savage's New York headquarters wearing the clothes of his missing assistant, engineer Renny Renwick, Doc, Monk, and Ham rush to Singapore where they get on the trail of a swashbuckling pirate who calls himself the Scourge of the South China Sea, in whose hands a piece of the infernal Buddha has fallen. The trail leads to Pirate Island, the fate of Renny, and a mysterious box containing a terrible, unstoppable power.